In this ongoing Monday Series we will be exploring various artists versions of Bob Dylan song's. 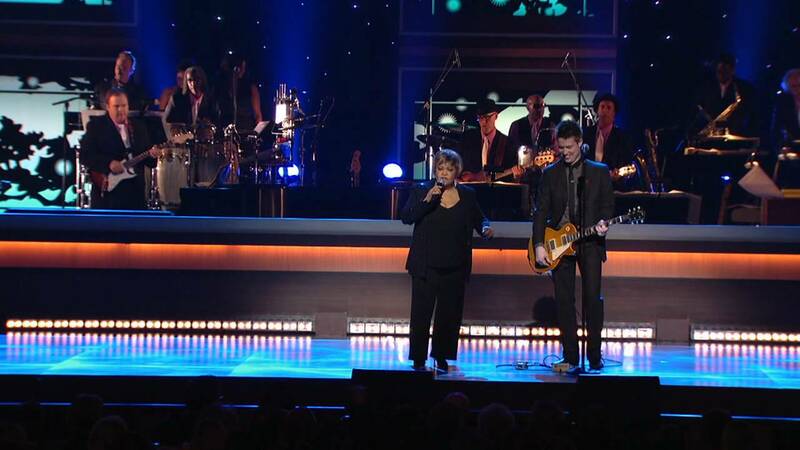 Today's artists, Mavis Staples & Jonny Lang doing a live cover of "Gotta Serve Somebody"
This powerful call of hellfire and brimstone rained down from the mountaintop as Dylan proclaimed his faith proudly, and this was the first song that most of the public heard confirming the fact that Bob did indeed "Go Jesus". It is point and fact with its belief and message. You gotta serve somebody...can't be simpler then that when it comes to faith can it? The original has a driving beat and a propulsion to it that sounds urgent, but not as urgent as Bob sings, reinforcing the proclamation through his powerful lyrics and leaving no man or woman on the sidelines...he brings everyone into this spiritual battle, and whatever your beliefs it is impossible not to feel Bob is committed as he runs through the verses and chorus. Mavis Staples is a legend, we can't wait to catch her at Jazzfest and when she opens up for Dylan in Queens. We have never been huge fans of Jonny Lang, but we are pretty sure we caught him back in the day when the youngster was coming up. The fest starts this weekend so we were excited to find a cover with two Jazzfest participants to kick off this week and cover #230. Perhaps our favorite thing about this cover is that these two artists decided to play THIS song over all others in front of the Presidents...pure Boosh and ballsy move. Not the best cover, but soulful and on point for the moment.